A crown can be braided as a french twist or a french or dutch braid of any number of strands you know how to braid. I’m going to demonstrate a dutch crown. This elegant and regal hair design is a traditional braided style creatively updated with fantastic fashion flair! The hair is styled away from the face, accentuating the uncovered brow, the profile and the nape. Starting at the front, he hair is braided to produce ‘links’ which move from large, loose braiding in a diminishing line around the head to produce quirky, asymmetrical profiles. The smooth crown contrasts beautifully with the intricate braiding and the multi-shaded hair creates an added layer of beauty in the beautifully plaited hair. The overall look evokes a royal circlet of ‘gold’ forming a very flattering frame for the face! 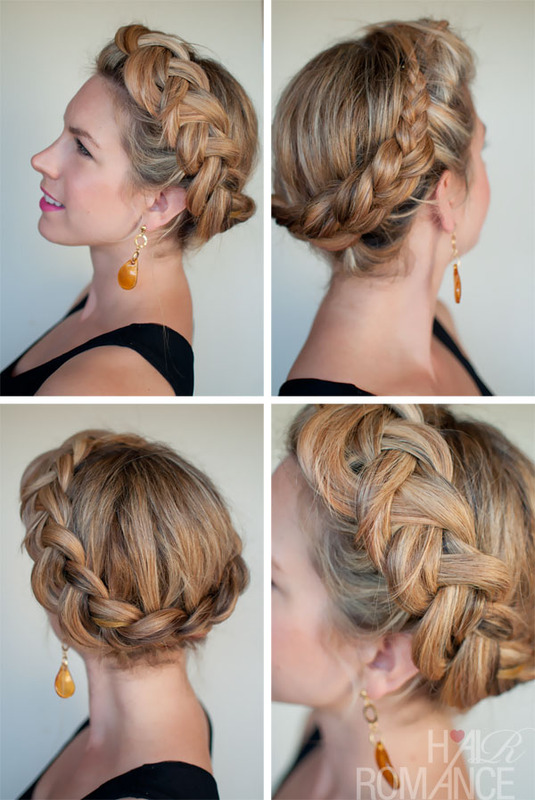 Do you want to know how to style this beautiful Dutch Crown Braid? You can find out the tutorial in this exciting ebook 30 Braids in 30 Days. 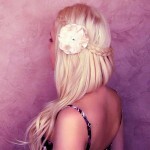 Under: Popular Hairstyles 4 Cute Hairstyles for Spring! Check the Hair Tutorials Here!